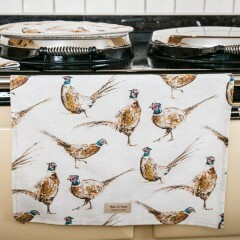 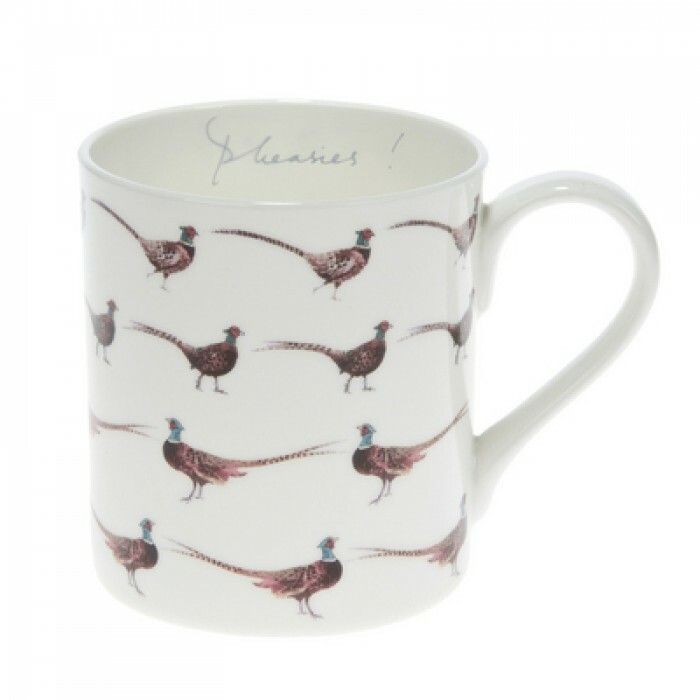 So many pheasants on one gorgeous mug. 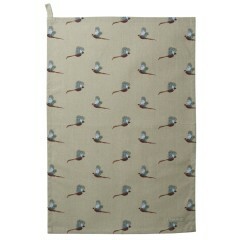 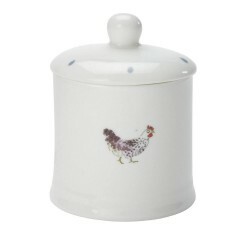 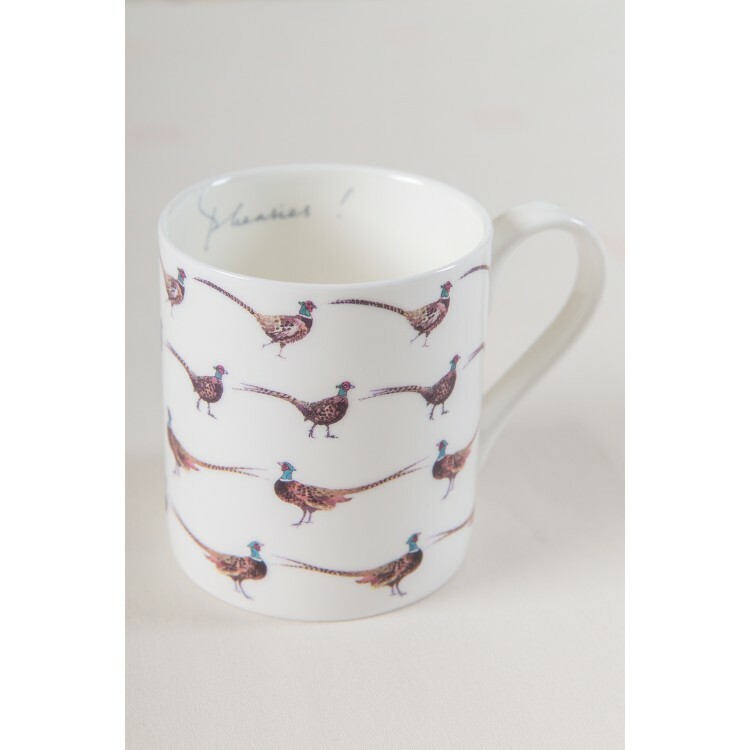 This fine bone china mug is absolutely filled to the brim with game birds on every side. 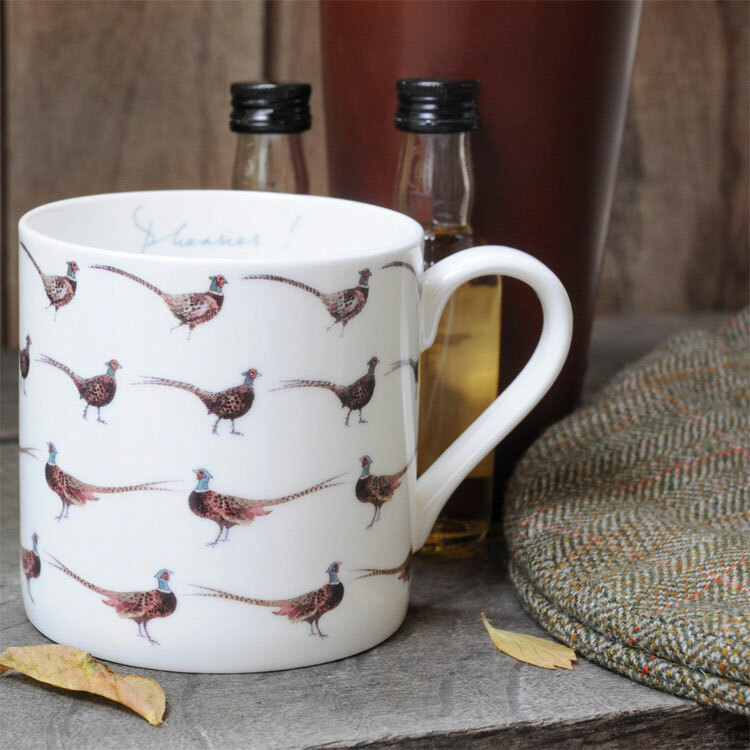 Delightfully, one of the ways to describe a group of such birds is to call them a 'bouquet' of pheasants, which is a great fact to tell your friends whilst sharing a convivial cup of tea or coffee. 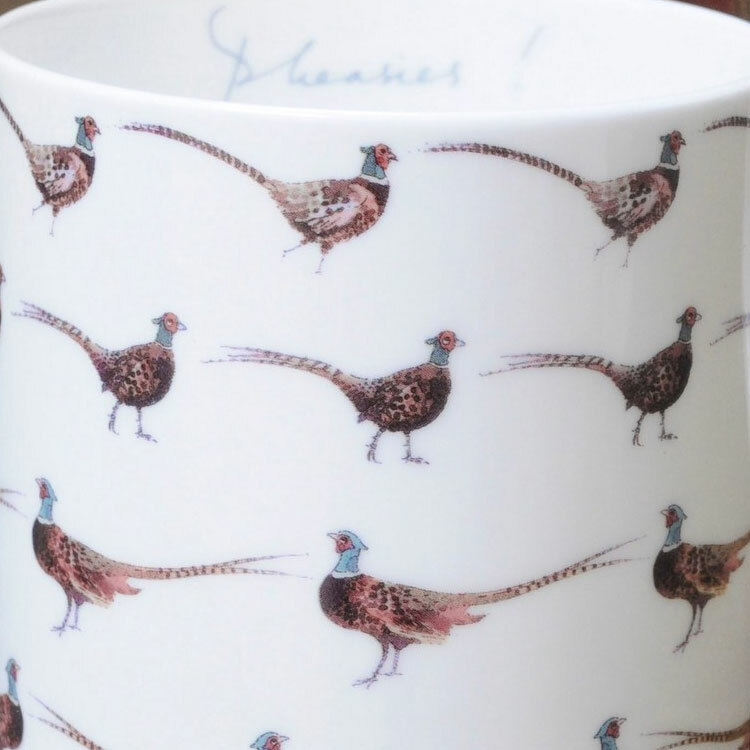 As a finishing touch, 'Pheasies!' 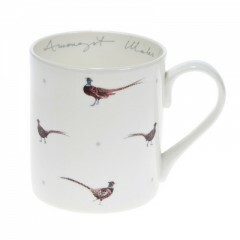 is written on the inside rim of the mug in the designer's characteristic handwriting. 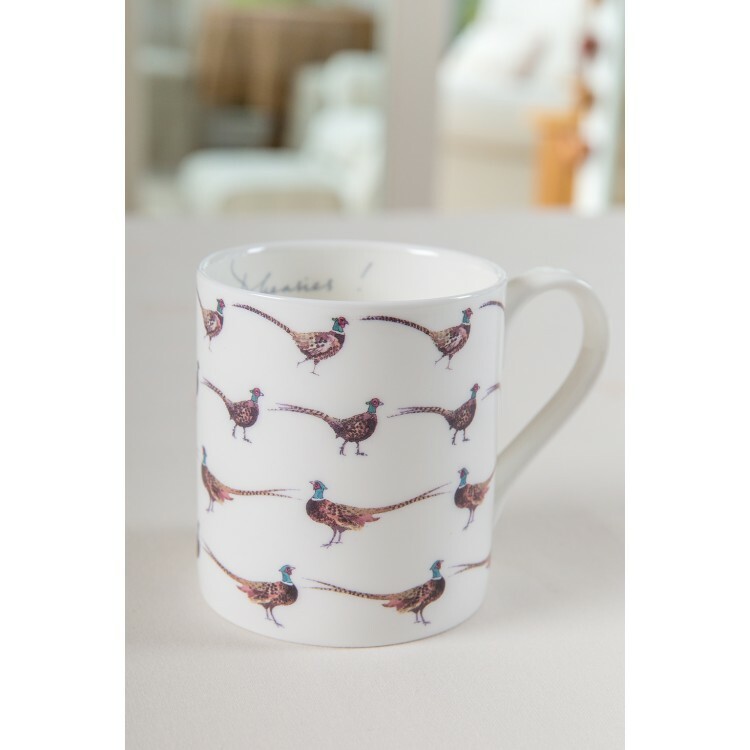 Whether this is to warn you about the sheer numbers of elegant pheasants parading on your mug, or whether it's an exuberant celebration is not clear, but we know you'll get many years of enjoyment from using this mug. 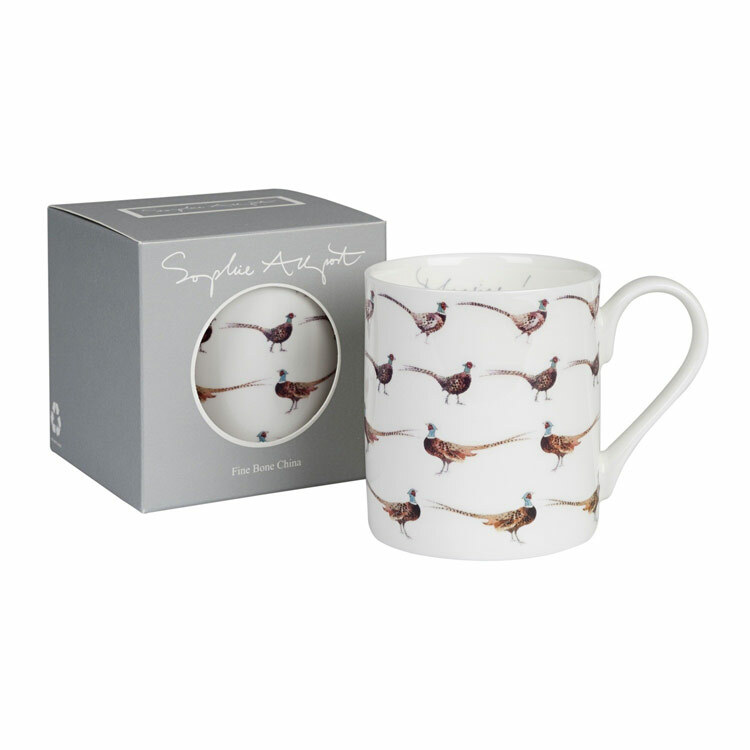 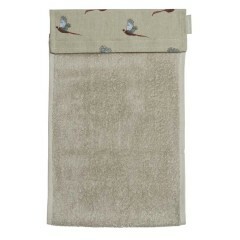 Hard-wearing despite its delicate appearance, the mug can be washed in the dishwasher and heated in the microwave. 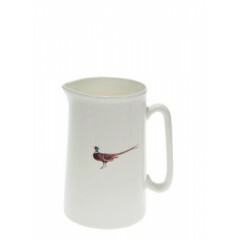 The mug has a capacity of 275ml and is 8.3cm high.